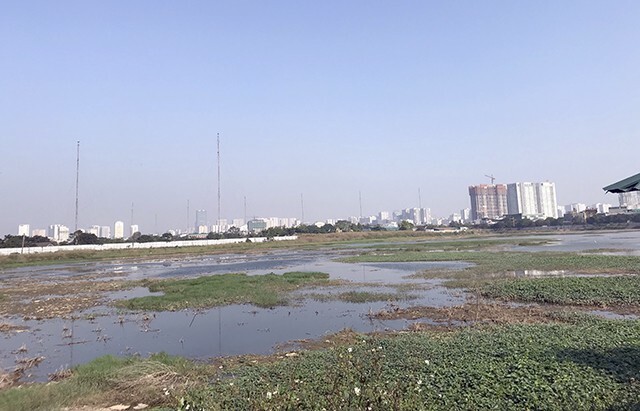 A USD800 million wastewater treatment project which was expected to help revive the To Lich River has seen no progress after two years. In October 2016, Nguyen Duc Chung, Chairman of Hanoi People's Committee, launched the wastewater treatment project on the rice field and lake of Yen Xa Village in Thanh Tri District. The project include one wastewater treatment plant and the drainage systems to gather wastewater along To Lich, Lu, Set and part of Nhue rivers. New technology is expected to be used to drill new sewers under crowded streets and to better deal with waste water. The project is supposed to be basically completed in October 2019. It gained huge support from the locals and Chung said he hoped the environment, especially the polluted rivers, will improve. The complex has the capacity of 270,000m3 a day and will serve 900,000 residents. Its fund will come from Hanoi's own funding and ODA from Japan International Co-operation Agency. However, the project is still largely incomplete. The land has been fenced off and it looks like the site is inactive. The visible parts are covered in weeds and used as feeding ground for the poultry nearby. Leaders of Thanh Liet Commune said they had done their best to complete ground clearance in time as this Japanese ODA loan-funded project was a key city task. They already cleared 14 hectares of land but nothing has been done in the past two years. Hanoi Sewage and Drainage Ltd. Company recently recommended using water from the Red River to supply West Lake and to clean To Lich River.